Washington (CNN) - With an impending budget deadline, the White House budget office directed federal agencies to prepare for a potential government shutdown. 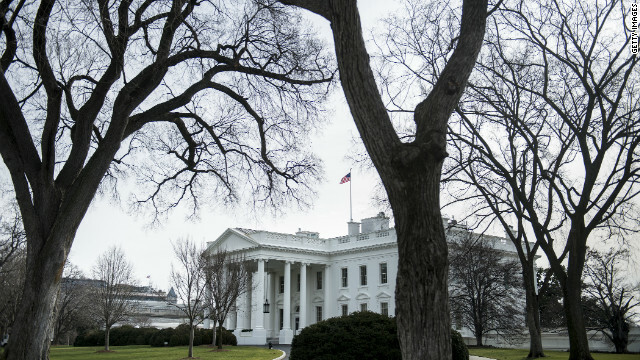 In a memo, Sylvia Burwell, director of the Office of Management and Budget, told federal agencies to update their plans in the event members of Congress and the White House are unable to reach an agreement before September 30, the end of the fiscal year. "There is enough time for Congress to prevent a lapse in appropriations, and the Administration is willing to work with Congress to enact a short-term continuing resolution to fund critical Government operations and allow Congress the time to complete the full year 2014 appropriations," Burwell wrote in the Tuesday letter. "However, prudent management requires that agencies be prepared for the possibility of a lapse." Budget negotiations remain at a standstill with Republicans pushing for spending cuts and a repeal of the 2010 health care law and the president insisting he will not negotiate over the law. "This country has worked too hard for too long to dig out of a crisis just to see their elected representatives here in Washington purposely cause another crisis," Obama said in a Monday speech. "Let's stop the threats. Let's stop the political posturing. Let's keep our government open. Let's pay our bills on time. Let's pass a budget." Only a truly demented mind would take salvation in the phrase "it happened on his watch, so it's his fault." Uh, was 9/11 GWB's fault? Was Pearl Harbor FDR's fault? Was the government shutdown in 1996 Clinton's fault? There is a clear distinction between standing by your convictions and acting on your stubborn ignorance. You have to stay proactive and ahead of the curve when dealing with the intellectually left behind crowd in Congress. You cannot plot what these Tea-cray-crays will do on a chart and then proceed. You have to prepare for any and all eventualities. It is personally embarrassing to me to have not only a useless Congress devoid of viable ideas to move the countruy forward, but worse, a willfully obstructive Congress whose only business has been and will continue to be to displace, disparage, and derail our duly elected President. The only question here is not how far or how low this Tea-infested Congress is willing to go to accomplish their goal, but whether Americans will allow them to return in 2014 to continue to do more of the same. In 2014 vote them out before they take us out America. "I don't understand why the GOP is so bent on having this one item, ACA or Obamacare, defunded after being told that it will still be funded no matter what is done." Because, as far as they are concerned, the rest of the country needs to be punished for electing Obama in November 2008 and 2012. That is how they view the damage caused by their shenanigans. "If you're not with us, you're against us...and if you're against us and won't give us 100% of what we want, then we're going to hurt you and hurt you as badly as we can." The last 5 years have been the GOP/Teatrolls' love letter to the concept that they can convince the entire country to vote for them and their policies by sending a message, loud and clear, that we either let them have full control over everything OR they will destroy everything while throwing a tantrum. The insults of the left and right toward each other are getting more and more vile. Showing the depth of the division in this country. Such hatred expressed for your countrymen, amazing. America is going the same direction as the Roman empire, though a lot quicker. Rome lasted 1000 years, doesn't look like America will make it to 300. Sheesh! Was the Roman Empire your idea of a model democracy? In the beginning it was supposed to be, then it turned into what we are today, only worse. I like how the left zeroed in on the Roman/American comparison, rather than the more important observation concerning the division in this country and the hatred expressed by both sides. They are going to SHUT IT DOWN! And then spend millions on ads blaming Obama for it. Yes the tenor of conversation has fallen- especially since the GOP turned loose their war dogs-the Birthers and the TAE Party.The Right can whine about the tone- they set it at new lows. GOVERN TOGETHER!!!! This is the faillure of America's democratic system. Democrats and Republicans MUST work together. When do you Americans ever accept that there are other and better democratic systems in the world. Has anyone on the Right made this consideration? The GOP has done nothing since President Obama was elected except obstruct the recovery from their economic disaster (is that their preferred version of America? ); they hve steadily battled to: remove civil rights; attack voters' rights; treat women in America as no more important than breeding stock; pander endlessly to the rich and corporate class.... and now they want to hurl an additional 38 million Americans into a class with no access to the failing American health care system? This looks like a winner to them? It looks like an act of war to me. Wilson- the Romans just didn't believe they were "exceptional" enough.